* Another week, yet another dominant offensive thrashing of a completely overmatched opponent. How else do you explain a game where--in one half--the Saints sustained two self-inflicted wounds and piddled around the field defensively, yet ran the Lions out of the Dome with one of the most entertaining halves of football in recent memory? Even after the slow start, the Saints mercifully killed the clock instead of putting a 50-spot on the scoreboard. They didn't punt. They ran a stupendous 81 plays on offense. They possessed the ball for almost 38 minutes. And yeah, you know, they set a few more league records in the process: most yards in a playoff game; most yards by a QB in a regulation playoff game. In two consecutive games, the Saints have registered an unfathomable 1,242 yards and 90 points. Go back and read that again. It's popular sentiment to compare the Saints' offensive numbers to those generated in video games. But is it even this easy in a video game? The Saints have taken scorched-earth and made it their modus operandi, while opponent after opponent has feebly crumbled in their wake. Burn motherf**cker burn. One of my favorite developments of the season was seeing the Saints continue going for it on 4th down against the Lions. 7 for 11 on 3rd down, 3 for 4 on 4th down (3 for 3 really, because they knelt on a 4th down to kill the clock). Now that's how you break a team's spirit. And why should the Saints even consider punting these days except in the most extreme circumstances? Nobody has proven capable of stopping them. And no, I'm not embellishing. There are examples of highly successful coaching philosophies that eschew punting in almost all circumstances. The Saints were #1 in 3rd down conversion percentage this season by an extremely wide margin (57% to 48% for #2 San Diego). I read a note yesterday that indicated the Saints were better on 3rd and 10 this season than any other team was on 3rd down altogether. That is a jarring stat and a telling indicator of just how difficult, if not impossible, it is to stop this offense. If that's true, why should they punt? 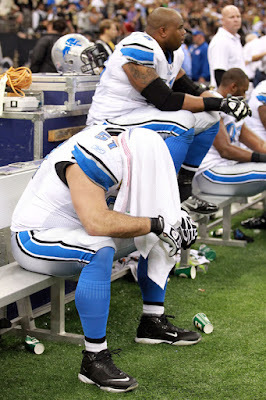 * Jabari Greer's two second-half interceptions extinguished any chances the Lions had of keeping pace. Though the Saints finished 31st in the league in takeaways, the defense has gotten materially better at forcing turnovers in the past two months. Generating turnovers is among the top postseason priorities because, with an offense like this, there's very little room for error for the other team. The Saints' defense has chipped away at the dam, and perhaps the floodgates will open up this week in San Francisco. If the Saints' defense can find a timely turnover or two, it's hard to imagine this team losing again this season. * How about the fact that Roman Harper and Malcolm Jenkins have played 17 games this season (well, 16 for Jenkins) and have no interceptions? None. Really? Two starting safeties, zero interceptions. That is a travesty, especially when you consider how often teams are throwing the ball against the Saints. How is this even possible? And not only did Harper and Jenkins fail again to intercept a pass on Saturday night, they were largely bystanders to Calvin Johnson's a capella performance. Simply put, both safeties have to do better this week. 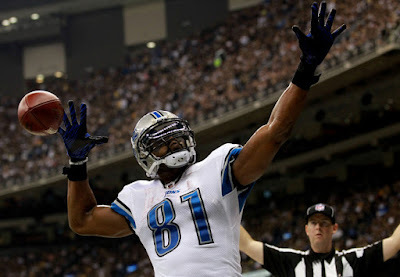 * Two first half fumbles allowed the Lions to take a four-point lead into halftime, limiting the Saints offensively. Shockingly, the Lions converted neither fumble recovery into points. Had they done so, the scope of the second half would have been vastly different. As has been noted ad infinitum, the Saints are undefeated under Payton when they don't turn the ball over. The Saints lost only six fumbles all season; now would NOT be the time to lose the emphasis on protecting the ball. * The Saints' pass rush continues to mystify me. 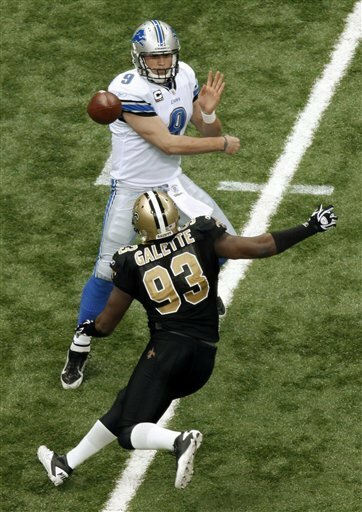 In a game where the Lions essentially didn't even try to run the ball, the Saints didn't sack Matt Stafford once. Couple that with the fact that the Lions were in an exceptionally loud, extremely hostile environment, yet the Saints' defense produced a minimal amount of pressure. I continue to hold out hope that Junior Gallette and Martez Wilson can make a difference in this area. Will Smith's best days as a pass-rushing presence are behind him, and Cam Jordan has yet to show much promise in this area. At this point, I guess, it is what it is. A pass rush that struggles towards mediocrity. * There's nothing much ugly about these Saints, and I don't want to make something up to fill this section. The stats genuis that I used to read on ESPN.com, don't know if he still writes there but when he did always good articles, has been arguing for exactly the strategy of never punting. Think he did couch it with 4 and a mile being an opportune time to kick it. Good article as per usual. I think Payton's onto something here. It'll be interesting to see how often he chooses to punt going forward, especially when the Saints play teams with high-scoring offenses. Great read. 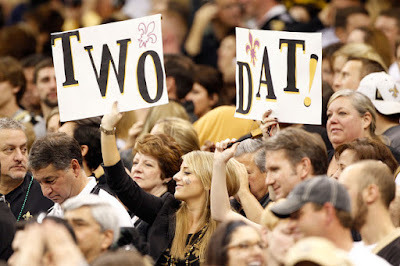 Loved the picture of the young lady holding the TWO part of the two dat sign. As a Cowboys fan, I have come to appreciate the Saints and they are of course a very close second, I really need them to CRUSH the niners as I hate that team! Dwight Clark 'nuff said there. Only my opinion here but your bad was on the safeties being pickless, at least Harper isn't as bad as Roy Williams was, they did allow Calvin over 200 yds receiving but the secondary shut everyone else down, worth mentioning. I think the UGLY should be about the D-Line not getting enough pressure, especially with what the Saints went out and paid for. Another UGLY could be that their punter, is being paid a ridiculous amount of money and just kicks off! LOL!